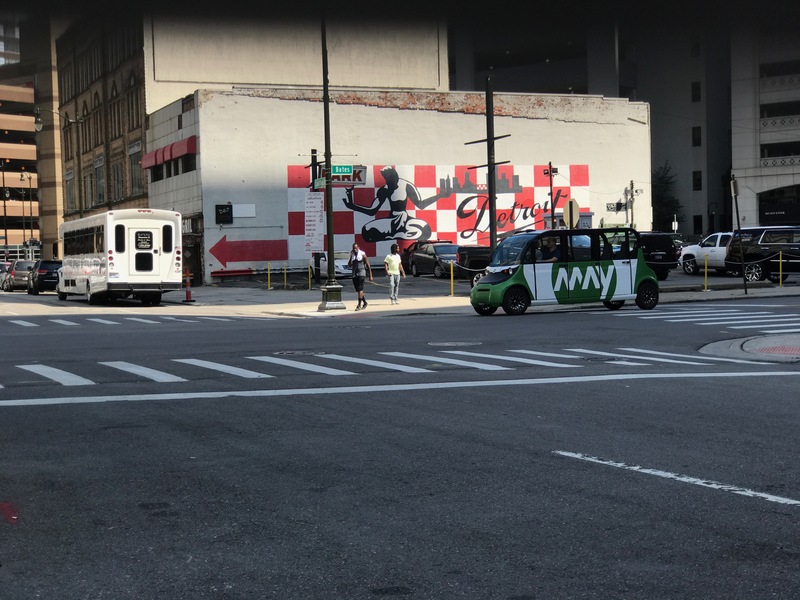 May Mobility is a startup making its official debut at Y Combinator’s demo day on Monday, focused on offering autonomous driving technology that companies with commercial fleets will be able to use in the near-term, not a decade from now. But the startup, while young, actually has a decade of experience, thanks to a team that’s been working on autonomous tech since the third DARPA Grand Challenge in 2007. May Mobility is led by CEO and co-founder Edwin Olson, who used to act as lead investigator on Ford’s autonomous driving program. Olson was also a co-director focused on autonomous driving at Toyota Research Institute, which houses some of the top minds in the world in robotics, and is taking a leave from his current role as an Associate Professor of Computer Science at the University of Michigan to build May. Olson’s co-founder and May COO Alisyn Malek also have a very impressive history in autonomy, having previously worked at GM Ventures, where she oversaw the relationship with then-startup Cruise Automation, which was subsequently acquired by GM and brought in-house to help develop that automaker’s internal self-driving technology. Malek is no stranger to startups pitching AV tech and products, which makes her decision to join May all the more an endorsement. May’s Chief Technical Officer Steve Vozar is also a former member of Ford’s autonomous vehicle program, and used to oversee University of Michigan’s APRIL robotics laboratory, which focused a lot of its effort on self-driving cars. Meanwhile, many of Olson’s graduate researchers, who also did work at APRIL, are joining the startup, too. The team behind the startup may be stacked with academic expertise, but its aims are very focused on practical, real-world implementations of autonomous driving technology, with a specific emphasis on what’s possible today, not what might be doable five or ten years from now. That means aiming at customers that have vehicle needs in business districts, on campuses (school and corporate) or in closed residential communities, where routes are more easily mapped and conditions are relatively predictable. To accomplish this, May has created a comprehensive autonomous vehicle technology stack, its sixth major stack overall across the core team. For potential customers, this can be installed in vehicle fleets to offer autonomy to their transportation options. May doesn’t make the vehicles, but it works with existing vehicle platforms designed for this kind of fleet service, and the installations go way deeper than just a May simple aftermarket add-on. The company also differentiates itself by offering full fleet operation service. 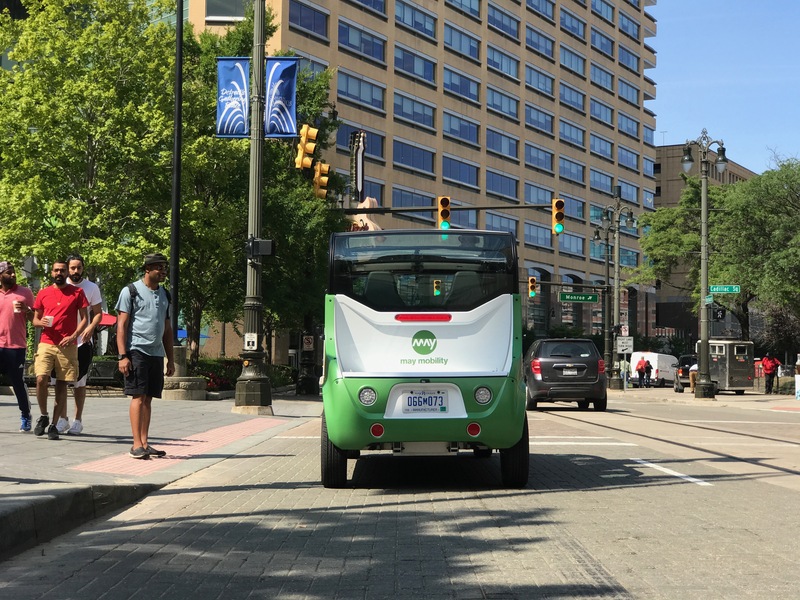 May wants to do everything from daily operation to maintenance and cleaning, making it a true full-service vertical service provider for anyone looking to implement autonomous shuttle service. Just how soon can they make this happen? May Mobility is aiming to spin up long-term operations with its first clients sometime in 2018, which is fast given that it only began as a company earlier this year. May is also currently in talks to potentially spin up as many as four pilots between now and February, with areas that cover both public and private roadways. So far, May has raised around $3.5 million, from investors including Maven, Trucks, and Tandem. The goal is to raise more during the course of the next year in order to help with hiring and operational growth.